I am trying to place an order with Peak at this time. Did you receive your sail yet, and if so, are you happy with it? Buyer beware. Peak Sails of Virginia is the same as Peak Sails of Washington. The website claims that new management took over in 2012, but the complaints still are coming in. The best thing to do is to call Challenge Sail Cloth at (860) 871-8030 and ask them to send you a sample swatch of the sailscloth supposedly used for your sails. If it doesn’t match, file a case with paypal or with your credit card. Your credit card gives you a long time to file a complaint and will get you your money back, but Paypal gives you only 45 days to file a complaint. You can get an extension from PayPal if you talk directly to their fraud prevention department. Most state laws probably give you a time limit of 1 to 5 years to file a suit for fraud. Here is the correct link to pictures of real vs fake Challenge Warp Drive Dacron. The one I posted above is incorrect, sorry. I have been waiting for my sails. Chris said last Friday I would be getting an email. One week later nothing he is on vacation. They are not answering my emails or phone calls. They have all my money. Very suspicious at this time. I can’t get Chris to answer the phone. He is offering 20 per cent off right now ‘by invitation’. Your comments are persuading me not to bother. Today is January 7, 2016. I placed my order with Peak Sails 2 months ago and paid in full as soon as their invoices arrived. Still waiting on my sail and CDI furler. I have placed over a DOZEN calls, e-mails and faxes to Peak, trying to get a response and update. No answer and no response. I even called CDI (the furler manufacturer) to see if they have shipped my furler. Although they received an order from Peak for my furler 60 days ago, they cannot ship because Peak has not paid the invoice. I was told by CDI that Peak is not an official distributor, and sales to them are done on a credit card prepayment basis…no payment, no ship. Peak is clearly operating with my money. If I don’t get some results very soon, my next move is to contact Pay-Pal, my credit card company, and BBB. Hey Terry, I purchased a Tri-Radial Mainsail for my C&C toward the end of October 2015. I spoke to Chris several times early on in the transaction. Very nice guy and receptive to my questions and request. Once the deal was set in stone contact was limited however he was on vacation for some of that time. I too paid my invoices as they arrived and became ever concerned that my sail would not arrive. I am a researcher to a fault and was aware of mixed reviews on the internet. Most of the reviews I could find were older. I finally sent an email to Summer Wang of Peak Sails on 1-19-2016. She is the person who sends the invoices. She informed me that Chris was struck by a car on December 26th and was in the hospital for an extended period of time and was still not out. Two days later she sent me a FED EX tracking number for my sail which arrived on my doorstep today. Have not hoisted it yet however after a close inspection (living room floor) I am very pleased. It looks great and feels great. The main was the test. 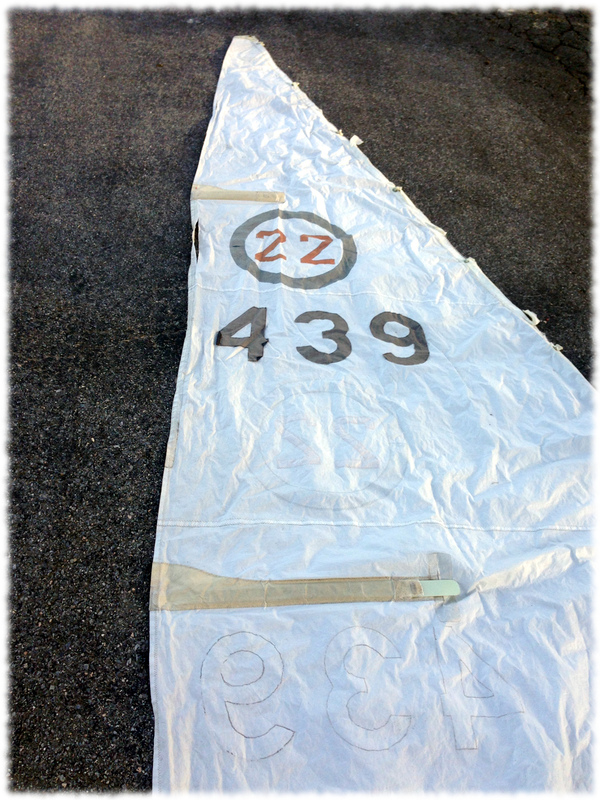 Since it arrived and looks great I will be ordering a new Genoa to match and likely a “Generator” light wind sail. I am not affiliated with them in any way so I am now sort of un-invested since I have my sail. I really just wanted to send you a note to ease your worries somewhat. The communication could be better and it was little longer of a wait than I expected but I got a great looking sail for a great price. That’s my story for what it’s worth. I ordered a new mainsail and genoa from Peak Sails for my Com-Pac 23. During the process, I dealt with Chris Stevens, Pat Greene and Summer Wang. All three were knowledgeable and my sails arrived in under 30 days. I was exceptionally happy with the quality. So much so that I purchased a main and jib from Chris for my son’s Com-Pac 16. I have no hesitations in reccommending Peak. I wrote on January 7 that I was extremely frustrated with Peak Sales, as I was not able to get ANY response from that organization for a three-week period during that time-frame. It turns out that Chris Stevens from Peak Sales did in fact have a very bad accident, taking him out of communication. Unfortunately, he seems to be the only contact person from their website. Long story short, my sail and furler did finally arrive and yes, I am very impressed with the quality of my new tri-radial 150 Genny. I too read the reviews regarding Peak Sails and with some apprehension, I still placed my order with them. After trying dozens of times to contact Peak, well after placing my order, I resorted to filing a complaint through Pay Pal. I did ultimately receive a call-back from Chris and after accepting his explanation, approve the payment through Pay Pal and the matter was settled amicably. All of this angst would have been eliminate if someone had simply posted a recorded message stating that there would be a delay in responding back due to unforeseen circumstances, but not to worry, all orders are still being processed. If you have any sail or sailboat parts needs for an ODay sailboat save the run around and contact D&R marine. Ruddy (The R of D&R) worked for ODay back in the day and knows more about ODay sailboats than anyone out there. I have been dealing with Rudy for a long time and he delivers every time. Ordered a Rhodes 19 Mainsail Peak sent me a Precision 21 Mainsail. Chris Stevens said it was the same sail as a Rhodes and that I could make it fit by bending my mast. After following all their suggestions I told them I wanted to return the sail and my money refunded. Have not heard anything substantive back from them. These guys change their Companies name. Peak Sails doesn’t use, or display a real bricks and mortar address. Avoid them. They stole my many through Paypal. Peak Sails Don’t bully me, threaten me with legal action, lets go to Court if you dare. Peak Sails has ignored my email asking for the correct jib for my Hobie 18. They have received my email, read it, and ignored it. Do not return calls either. I am now past the point of paypal or credit card helping retrieve my money – now looking at court action. I ordered a Hunter 22 Genoa from Peak Sails of North America on February 6, 2017 and it arrived on April 5, 2017. I had heard of some recent complaints about this company, so 15 days after they received my final payment, I questioned the company about my order status and commented that the Florida sailing community would be watching this order process. This was a golden opportunity for the company to assuage any bad publicity and to show real customer service. Instead, the CFO of the company accused me of “extortion” by telling her that the sailing community was watching, and then had their corporate counsel contact me with insults and threats of reprisal. He even requested that I take my future business elsewhere! The fact that a question about the status of an order (that has been fully paid for) is met with a response like this is hard to believe. I guess this is what passes for great customer relations at Peak Sails. Even if the sail is of good quality, no one should have to experience this kind of treatment when ordering a sail. When Peak Sails responds to this review, as they have with past reviews, the corporate counsel will no doubt attempt to debunk this review by spewing some more vitriol. I am certainly heeding the corporate counsel’s advice and taking any future business to the competition. If you don’t want to subject yourself to this type of treatment, I’d suggest that you follow his advice as well.